CITC offers 8 affordable and convenient meeting rooms! 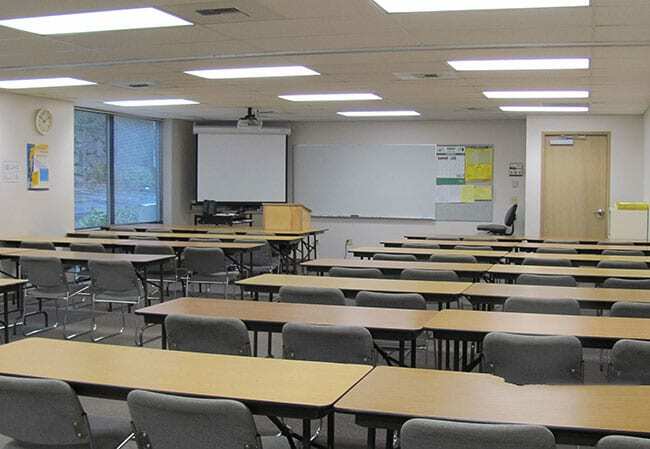 Our fully equipped classrooms and boardroom provide the ideal professional setting for in-house training, employee appreciation meetings, luncheons, board meetings, retreats, and more! We are located in Bellevue, Washington in a quiet and convenient location just off I-405 and SR-520 with free parking! Rentals start at $95 for a half-day and $300 for a full day. We offer 8 separate meeting rooms equipped with large tables and padded chairs with seating starting from 10 up to 60 guests that can be arranged according to your needs. Each of our rooms will provide you with the and come equipped with the essentials for a successful meeting. Don’t rent another room that costs more, and provides less, than CITC.